Take a two week trip and you feel like you've done something. Samuel Pickwick and his wealthy cronies decide to skedaddle outta the city for a two year romp exploring the English countryside. Now that's what you call a vacaysh! Charles Dickens' first novel finds him weaving a humorous tale of misunderstandings and happenstances that follow likable Pickwick and his goodnik buddies wherever they travel. In the process, Dickens brings to the forefront many social issues that would be more famously explored in his later novels. 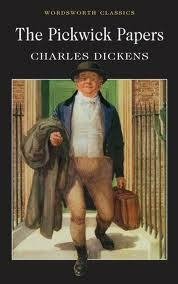 At over 800 pgs, "The Pickwick Papers" (1836) is not for the faint of heart. Dickens occasionally stretches sentences like he's pulling apart a Slinky. And the slangular dialect of the period can take a bit of warming up to. But once you catch on to the rhythm of the word-flow...(and you will)...it's a pretty dang entertaining read. Step inside this noisy coach and enjoy the journey. Yeah, yeah, I got to get away. Yeah, yeah, and that's the reason why. You best believe it that I go to get away. Just excess baggage on a late night freight. Yeah, yeah, I got to cut me some slack. 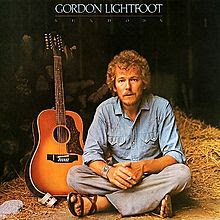 When it comes to Gordon Lightfoot albums...I mostly cherry-pick the branches rather than take the whole tree. But what I've grabbed from this Canadian troubadour's catalog are absolutely killer and not to be missed. Lightfoot has always reminded me of Jimmy Buffet...(without the tray of empty margarita glasses piling up around his table, of course.) That's not meant to be a bad thing...just that Gordie generally keeps it a wee-bit more serious. His folk rock presence was most heavily felt in the 70's...thanks to his first and only #1 album in the States..."Sundown" (1974). Songs like "Carefree Highway" and the title track are daily radio staples and have remained timeless. Lost Gem:--> "Circle Of Steel"......is a haunting portrait of a Xmas season for families of the welfare variety. And made all-the-more unforgettable by the beautifully played recorder (Jack Zaza)...that truthfully captures the harsh reality. Not your Griswold Family Christmas...no, not this time. Have you heard this gem? Everybody's in step with the season. And he comes and he leaves on the double. For they know about all her bad habits. And he's servin' three years for that reason.